Moyo announces that it has been accepted into the Microsoft AI Inner Circle Partner Program. Moyo was accepted into the programme after the successful delivery of multiple AI projects using Microsoft technologies. Yuri Baijnath, Moyo’s technology services general manager, says, "Being recognised in this way is a huge milestone for Moyo. As a gold level Microsoft partner with competencies in data and analytics, data platform and cloud platform, and now the addition of the AI Inner Circle, we are well positioned to play an active role in business transformation for our customers using AI." Acceptance into the AI Inner Circle program grants Moyo early access to Microsoft’s latest AI developments, invitation-only technical training, insights into its AI best practices as well as the support of an international team of Microsoft professionals. With over 10 years of experience and a team of 160 specialised consultants, Moyo has aimed to help its clients do more with their data, through advanced data analytics, machine learning, business intelligence solutions and smart agents. Moyo delivers these solutions via its pool of data scientists, with specialisations in mathematics, statistics, industrial and chemical engineering, image recognition and many more. 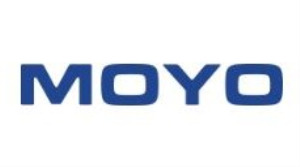 Moyo is an organisation that aims to deliver end-to-end data and analytics solutions across multiple industry verticals, as well as AI infused solutions via its technology practices in software development, data engineering, data integration, descriptive analytics and advanced analytics. According to Moyo, these practices, along with the various business services offerings, (enterprise architecture, solutions architecture, data architecture, project and change management and business analysis) are a driving factor in its delivery of AI-based solutions. For more information, visit www.moyoafrica.com.